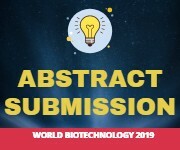 Industrial biotechnology is a set of practices that use living cells (such as bacteria, yeast, algae) or component of cells like enzymes, to generate industrial products and processes. Industrial biotechnology can be used to: Create new products, such as plant-based biodegradable plastics; Replace petroleum-based feedstock’s by processing biomass in bio refineries to produce electricity, transport fuels or chemicals; Modify and develop new industrial processes, such as by using enzymes to reduce the amount of harsh chemicals used the textile or pulp and paper industries; Reduce the environmental impact of manufacturing; for example by treating industrial wastewater onsite using biological mediums such as microbes; Industrial biotechnology is one of the most promising new approaches to pollution prevention, resource conservation, and cost reduction. It is often referred to as the third wave in biotechnology. 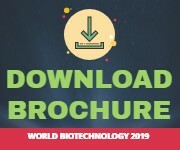 If developed to its full potential, industrial biotechnology may have a larger impact on the world than health care and agricultural biotechnology. It offers businesses a way to reduce costs and create new markets while protecting the environment. Also, since many of its products do not require the lengthy review times that drug products must undergo, it's a quicker, easier pathway to the market. Today, new industrial processes can be taken from lab study to commercial application in two to five years, compared to up to a decade for drugs.